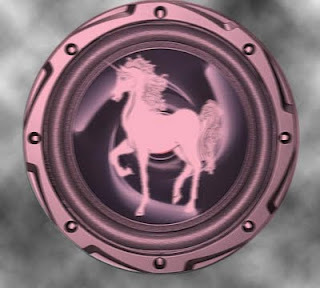 Will there be worldwide reports of pink flying saucers with unicorn decals on July 16th, 2011? If so, they’ll be taking guests to the exclusive Skepchick party on asteroid 153289 Rebeccawatson. Sources say that the famed female skeptical bloggers will be taking their infamous party to outer space. The sources say this party, held as part of The Amazing Meeting convention in Las Vegas. The sources agree that this party is being co-sponsored by Interstellar Alliance for the Advancement of Science and The New World Order. The IAAS sees the party as a way to reward The Skepchicks for promoting science eduction and critical thinking among female humans. The New World Order sees the party as a reward for the Skepchicks efforts to distract attention away from alien visitations on Earth. While previous parties have taken place at The South Point Hotel, and undisclosed locations in Las Vegas, sources say this will be the first party that won’t have problems with the law or capacity. Unfortunately, this party will be the most exclusive. The theme for this year’s party will be 1950s science fiction characters. Guests are asked to come dressed as their favorite 1950s literature or movie characters. Prizes will be awarded, including the first Surlyramic made from Martian clay. This is in keeping with the outer space theme TAM 9. This will also be the first party to have an onsite child care center. While there were plans for an interstellar field trip, older children will instead get a tour of the Gagarin, the only Orion spaceship built by humanity. Nuclear Engineer Dad was a member of the crew, and will conduct the tour. Most of the facility has artificial gravity, but there will be a microgravity section that will have “adult activities.” According to the sources, one of the activities will be jump shots. Skeptical Sam will mix a drink and toss it into the air. Due to the low gravity, the drink will break up into spheres. Attendees will then jump up and try to swallow the spheres before landing. The sources hinted that people who won’t be attending TAM will be attending the Skepchick party. “Let’s just say that the girl with the bunny ears will be there!” Said Paula. Watson added, “We love our fans, but the parties became big and expensive. If we held it at the hotel, we’d have to rent a convention room, and only use the hotel’s food. I don’t have a home that I can mortgage to raise that kind of money.” Watson then if there were a party and a fan weren’t invited, the fan could go to the Penn and Teller party instead. “No, I am.” Said a second Skepchick. “You can share your booze with a fellow Skepchick and still have enough to get drunk.” Said the first Skepchick.